April is going to be filled with countless Autism Awareness + Acceptance Month events, some annual traditions (like Dine4Autism) and some brand new events. 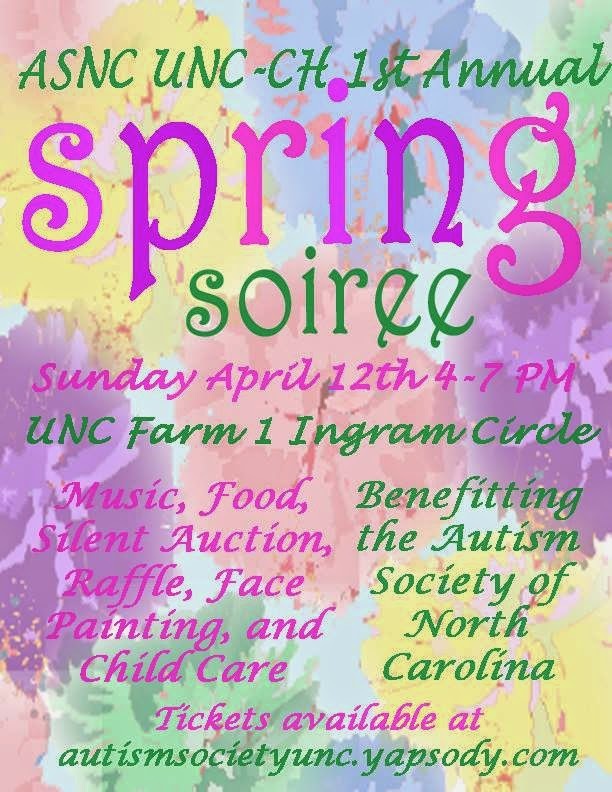 A really fun new event this year is the Autism Society of North Carolina UNC Chapel Hill Campus Chapter's First Annual Spring Soiree! It is a fundraiser to benefit the Autism Society of NC with all sorts of fun activities: music, food, a silent auction...and yes, even childcare. Buy your tickets here and join the Facebook event - be sure to invite your friends! Stay tuned for lots more information on all of the April autism events coming soon!